When you’re always on the go like I am, having a quick and easy travel beauty routine is extremely important. This will help you not only look good, keep your skin healthy, but make you feel great. I know that I struggle with dry and dull skin, especially when I’m in drier climates or have long travel days (hello recycled airplane air!). 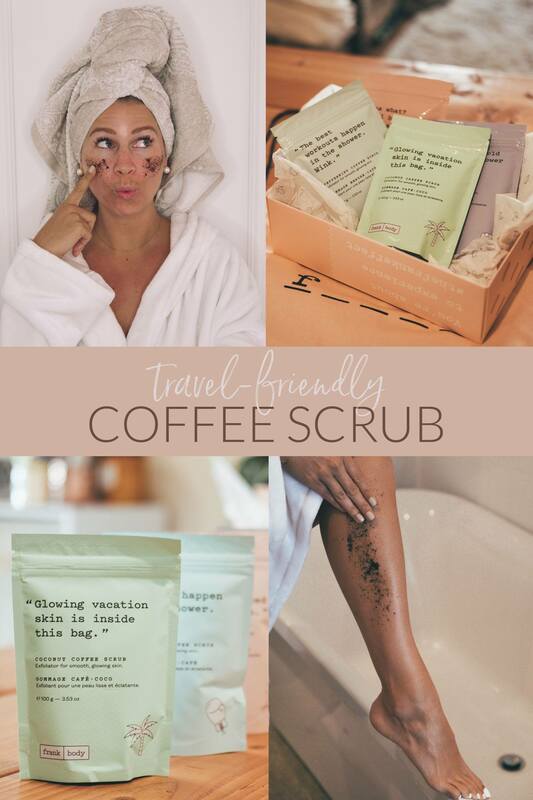 That’s why one of the travel beauty essentials that I’ve been using lately is the Frank Body Coffee scrubs. 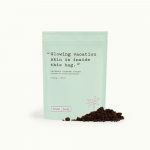 They’ve just released the Out of Towners Kit which consists of four different natural coffee scrubs in travel-friendly pouches. Looking for gift ideas? You can also get 20% off all your online FrankBody purchases from Nov 22-26! Here’s why I’m excited to travel with the Frank Body’s Out of Towners Kit! The Out of Towners kit is natural, vegan, paraben and PEG-free which means you won’t be putting any harsh chemicals onto your skin. 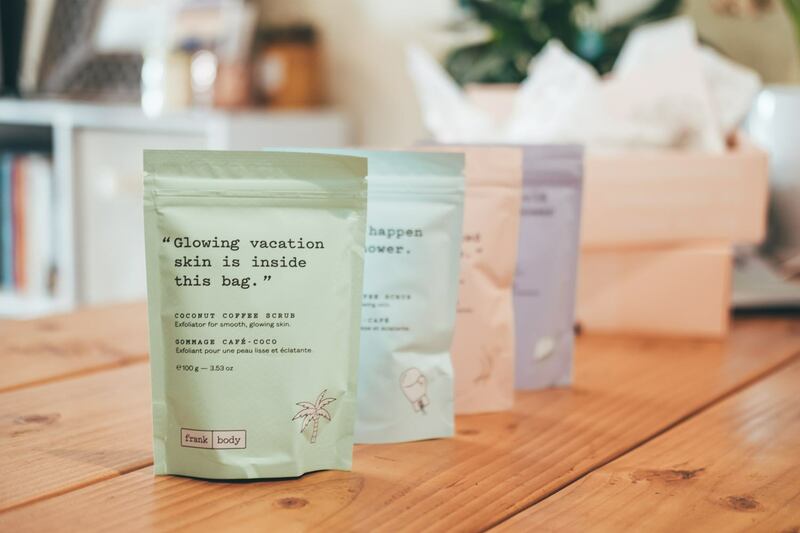 It’s made up of travel-sized pouches of four different coffee scrubs: The Original Coffee Scrub, Coconut Coffee Scrub, Cacao Coffee Scrub, Peppermint Coffee Scrub. 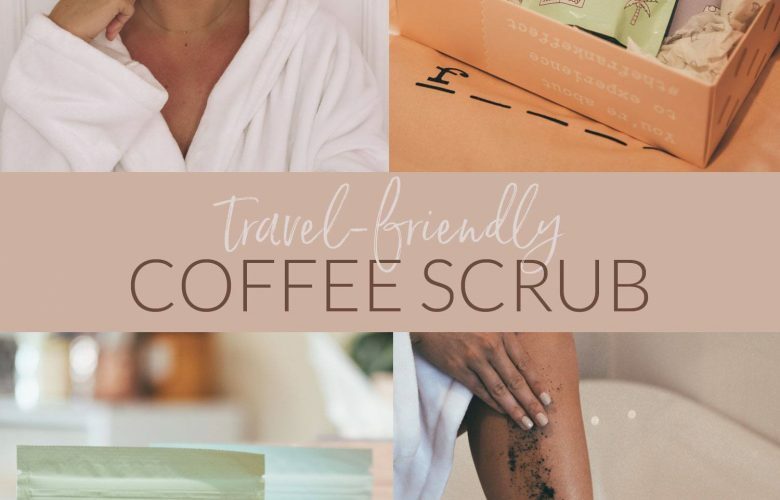 Did you know that coffee scrubs help reduce inflammation, exfoliates and brightens your skin, reduces cellulite, reduces puffiness, AND eliminates dark circles? It does it all. Plus the kit comes in a super cute bag! The original coffee scrub is what got Frank Body’s name out there. It’s natural, 100% vegan, and helps your breakouts. It’s a combination of coffee and oils that help your skin look perky, even, and softer than it’s ever been. Coconut coffee scrub helps you achieve that vacation glow that we all want. With a blend of coffee, coconut, and essential oils, it helps tackle stretch marks, dry skin, and scars. Whoever said chocolate wasn’t good for you were mistaken. The antioxidant-rich scrub is meant to hydrate your skin, no matter how dry. The mix of cacao, coffee, and other natural ingredients come together to help exfoliate and soothe your body. Perfect for when you’ve been out and about all day. Do you know how your mouth gets minty fresh after eating a mint? Well, imagine that sensation for your skin! The peppermint coffee scrub is great after a long work out or a long day of sweating in the sun. With anti-bacterial and natural ingredients like aloe vera, this scrub helps not only soothe your aching muscles but also tackles body breakouts and stretch marks. 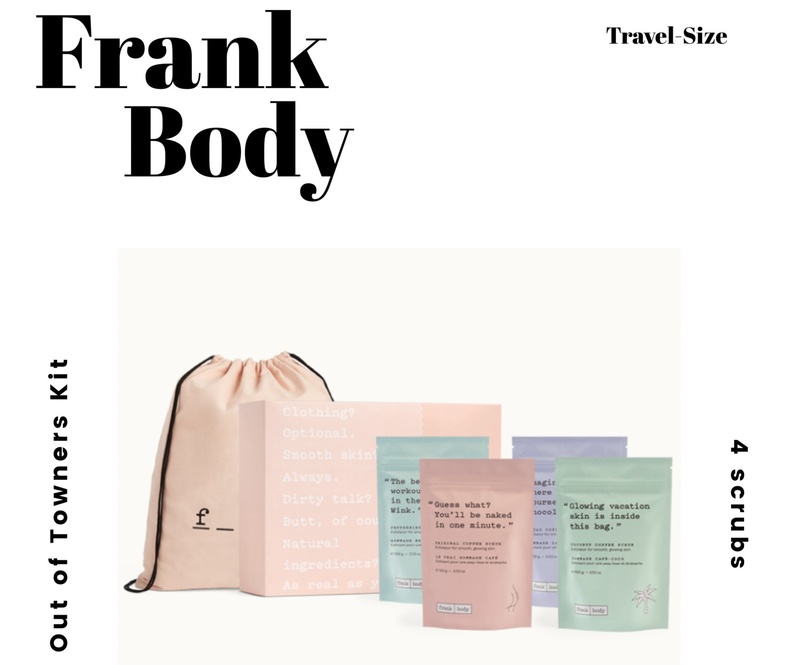 For those who have not heard of Frank Body, the company is based out of Australia and they pride themselves in using all natural ingredients to help you accomplish soft skin. They use naturally derived ingredients and are cruelty-free. 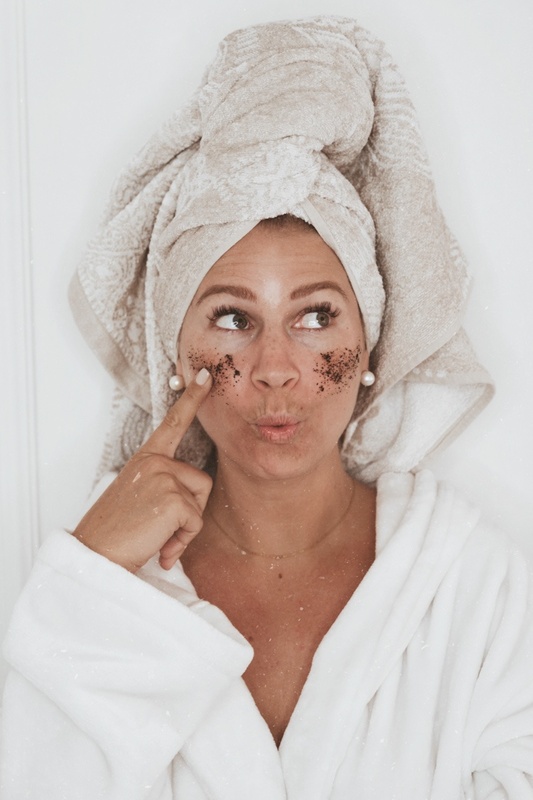 They started with the original coffee scrub in 2013 and now have over 2 million babes ordering their products! This post was written in partnership with Frank Body. As always, thoughts and opinions expressed here are entirely my own.